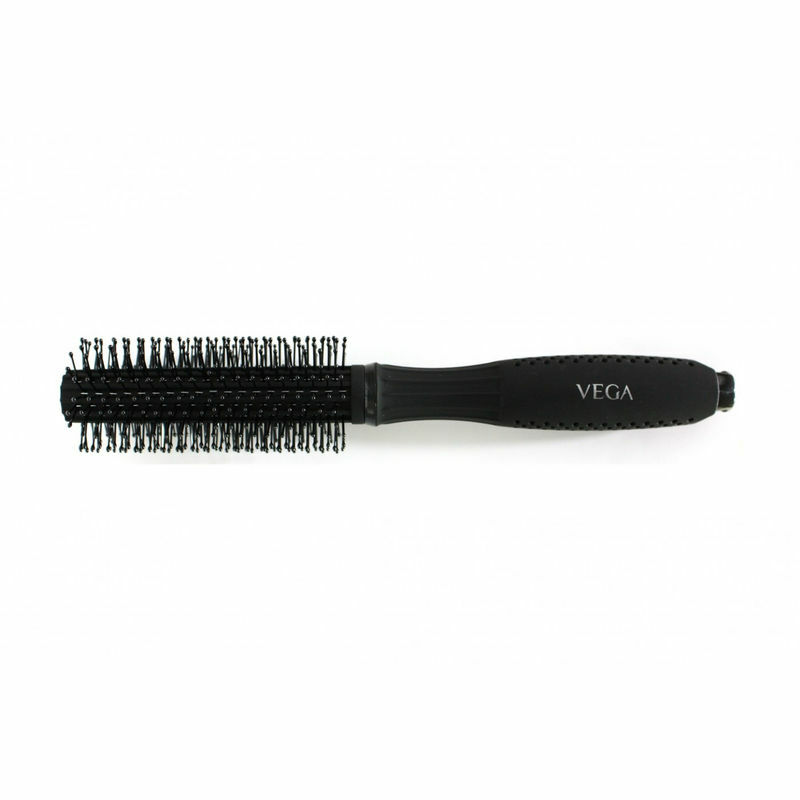 Vega Premium Round Hair Brush is ideal for adding volume and curl to hair. Its natural bristles condition and add shine. 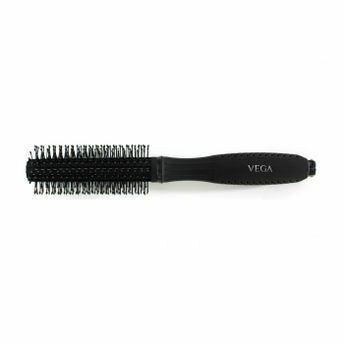 The mixed blend of nylon and boar bristles not only help achieve extra tension for smooth blow drying results, but are also excellent as everyday groomers. The nylon bristles penetrate the hair while the boar bristles polish the shaft. It is suitable for all hair types. About the Brand: India's leader in the beauty accessories category, Vega offers premium quality products that are suitable for Indian consumers. The main objective of the company is to provide a wide range of innovative and affordable beauty accessory tools from Head to Toe to the Indian consumer. With its affordable range of beauty accessories, you can look prim and proper without burning a hole in your pocket.